When a good idea on paper, isn’t as good in real life. 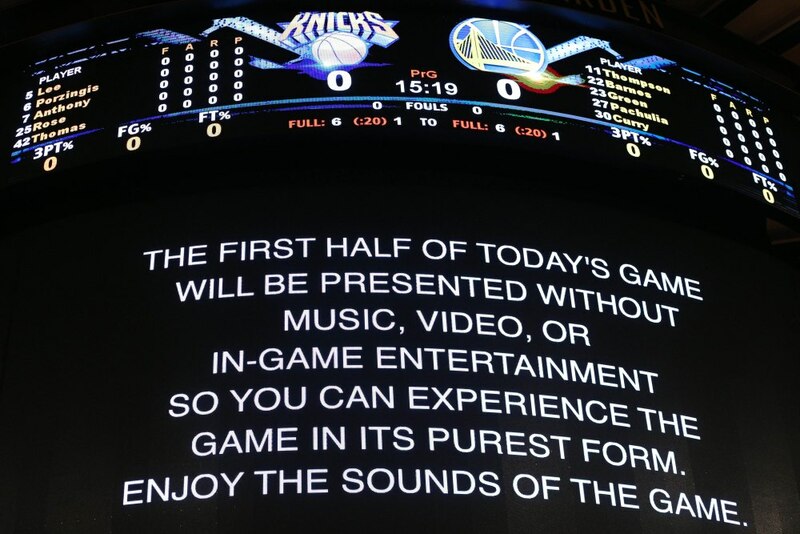 For the first half of the Knicks-Warriors game, Madison Square Garden was without music, video or in-game entertainment. Really not the greatest of ideas. The first half of today’s game will be presented without music, video or in-game entertainment so you can experience the game in its purest form. Enjoy the sounds of the game. I didn’t get to experience it in the arena, but I watched the game at home via League Pass and it was strange. You sometimes were able to hear some hecklers, or some players talking, but overall it was very awkward. Draymond Green apparently wasn’t a fan either. 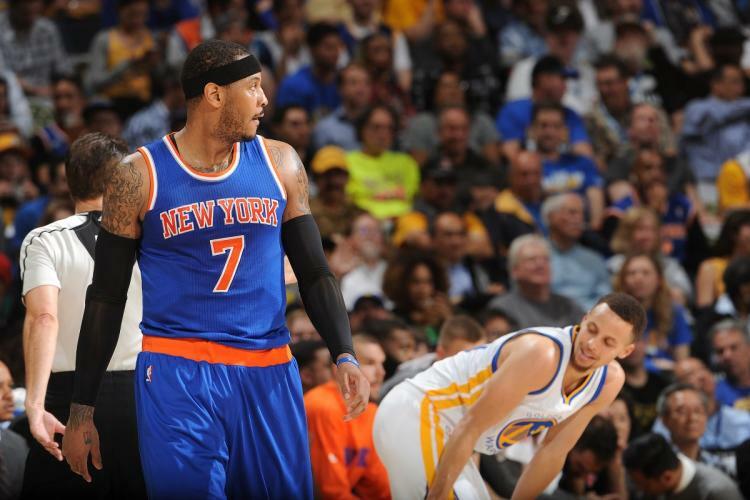 But in true Green-fashion, he blasted and roasted the Knicks for the idea and called it disrespectful. “That was pathetic. It was ridiculous. It changed the flow of the game. It changed everything. You get used to playing a certain way. It completely changed it. To me, I think it was completely disrespectful to everyone from [NBA senior VP of entertainment and player marketing] Michael Levine to [Warriors president and COO] Rick Welts and all these people who’ve done these things to change the game from an entertainment perspective. According to ESPN, not only Drayond Green, but also Stephen Curry, Steve Kerr and Kristaps Porzingis thought the idea was weird. So did Twitter. With no music or piped-in noise, you can actually hear the despair. Let’s just hope it was a one time thing. WATCH! In The Philippines, Ball Is Life!